Big Bang cycle, conceptual image. 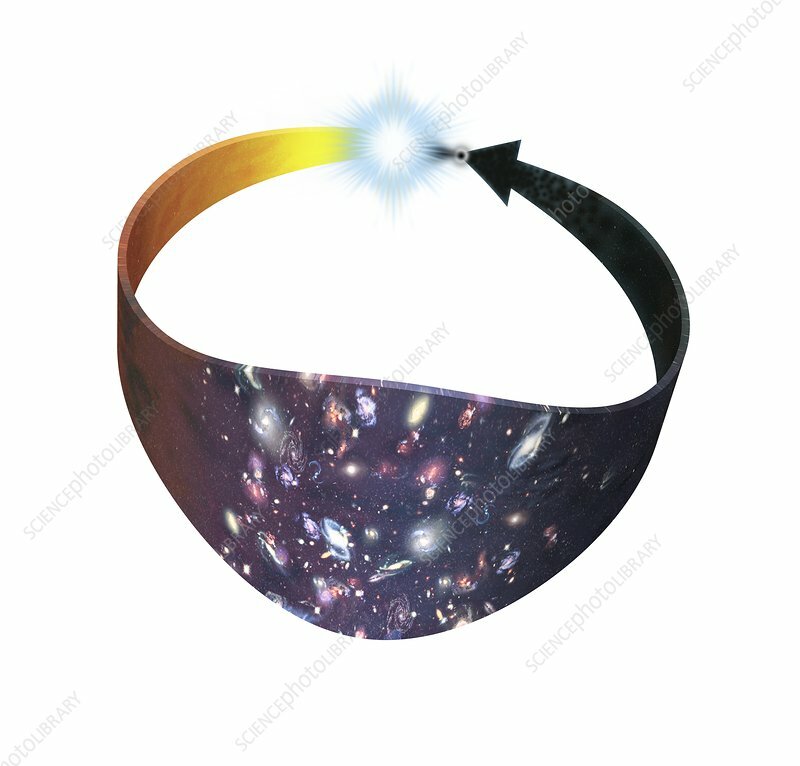 Computer illustration representing the theory of the Big Bang and Big Crunch cycle. In astrophysics, the Big Crunch is one possible scenario for the ultimate fate of the universe. It suggests that the expansion of the universe caused by the Big Bang will eventually slow down and reverse, resulting in the universe re-collapsing to a black hole singularity. Another big bang may then occur, with the same fate occurring over again in a never-ending cycle.